The digital world is all about cut-throat competition and it has become difficult to make a strong online presence. A business owner either new or well-established just wants one thing, more customers and boost in the revenue. Are you one of those craving to be a successful marketer with big sales? Craft an awesome digital strategy that helps you attract maximum visitors towards your business site. We are here to make you familiar with the tactics that bring a remarkable change in your traffic. Now attract more visitors through Paid search, Social Media Advertising, and Display Advertising. One needs to jot down the goals and objectives first in order to make the plan successful. What do you want? More traffic or an increase in conversions too? It is mandatory to make a strong financial plan as each paid channel has its own advantages and disadvantages. Focus on targeting high money and commercial intent keywords as part of your paid search strategy. By applying different strategies, one can get fruitful and successful results. It is a wonderful platform to advertise. This marketing initiative drives nearly unlimited sales, if your offer is tempting enough, and can convert that traffic into sales with a great sales page or free offer. This is a terrific way to get more traffic to your website. Re-targeting ads focus on people who’ve already visited your site and have left for whatever reason without completing a sale. It has a lucid revenue plan, that placing ads on the social network. This is a great way to extend out to people in your area potential customers to buy your products and services. Get your message out to millions of people without having your own large audience. You can grasp people who are well established in your niche on Twitter, Instagram or other social networks and reach out to them. It’s totally inexpensive but it could potentially bring you host of customers and sales in the near term. Create unique and informative content on your site or blog, to engage your visitors. Make it as captivating as possible. It should be acceptable for each type of reader. You can do it by fluctuating the length and configuration of your content. Mingle up shorter, news-based blog posts with long-form content as well as video, infographics, and data-driven pieces for maximum impact. Write irresistible headlines to attract potential customers. Your headlines must not be too long and attractive enough to capture the attention of readers. One of the most pivotal aspects of driving large volumes of search traffic is effectively targeting long tail keywords. And start doing it after getting your high-intent and popular keyword bases covered. It gives you a higher ranking for queries specific to your products and services because people are using more specific phrases to search online with the advancement in search engines and voice-to-text capabilities. Make your voice heard with up to date on-page SEO. Some of the important on-page factors are technical set-up of your code, textual and visual content and user-friendliness of your site and all of these are in your hands. Focusing on on-page SEO will also increase the probability that your off-page SEO strategy will be successful. Guest blogging is a great way to establish yourself as a powerful figure within your merchandise and build relationships with other bloggers and experts of your domain. Take an opportunity to share with others, and increase traffic to both parties blogs. Also, consider highlighting posts developed by guest bloggers as this will give your readers a new outlook and fresh new content. But go ahead with caution as the regulations for guest blogging have changed thoroughly and spam strategies could result in punitive action. Referral traffic is the visitors to your site that come from direct links on other websites rather than directly or from searches. When other sites acknowledge what you say or sell, they post a link recommending your site that in turn increases the page rank of your blog, which boosts it in Google search results. Get the right kind of referral traffic, using a free tool like Google Analytics. Post your content on LinkedIn as is a great method for marketing the content that’s already on your website. Produce a distinctive, high-quality post on LinkedIn that conveys a good amount of value and make sure that you link it with support content on your website to get control of the way over to your main post. And if you are a B2B, LinkedIn is the perfect place for you to attach with your market, develop relationships, and drive traffic to your blog. Implementing Schema markup declares to the search engines what each piece of your page means. It helps to distinguish whether your page contains images, a publisher, the author’s name, publish date, reviews etc. Though there is no definite confirmation that schema markups improve ranking, search results with more considerable rich snippets have better click-through-rates. Optimize your internal links to generate more traffic. Though internal linking is not the prime SEO element, well-grounded internal structure will make it easier for Google’s crawlers to index your pages. The internal links demonstrate data grading, helping search engines in getting the right information and let users access it. So never miss an opportunity for internal links, when creating and posting content. Email marketing is a low-cost, yet productive way to reach your customers and prospects. It involves sending a series of specific emails to a list of existing subscribers to inform them of new products or services available or build a connection with them to create interest. When executed properly, it can take your business to the next level and generate a healthy ROI. But always be cautious and don’t irritate people with endless emails about every single update in your business. Design your website in such a way that the content, images and site structure provide a coherent and uninterrupted viewing experience for users of different devices including smartphones as Google considers mobile-friendliness of a website into its ranking factors. 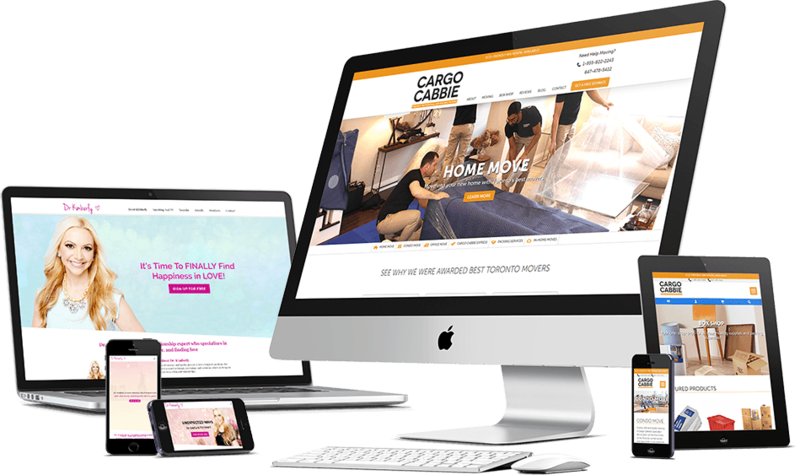 If your website is not mobile responsive, you can lose out on a considerable ratio of the thriving audience. Moreover, how fast your site is also a notable factor for Google because if it takes longer than 2 or 3 seconds to load, you are losing traffic right this moment. Google loves YouTube. It is also the second most popular search engine in the world. So put efforts to gain publication on YouTube. Uploading and marketing your videos on YouTube can help give your content visibility in both YouTube and Google search. Generate useful tutorials and videos that build up a huge quantum of value and don’t forget to link to your content through the description. Webinars are an outstanding way to circulate your information to your desperate audience. They are even better than video as there is a live host. Webinar also helps in more customer engagement and the question and answer session allows more audience participation. You can also create a custom video to promote the webinar, to get visits to your webinar signup page. Reddit is a wildly-popular platform where you can share useful information and engage in conversations with millions of people from across the planet. If you wish to gain a sizeable amount of traffic from Reddit, keep your posts highly relevant to the users. Set up your profile, know your subreddit, submit your content and then watch the magic that happens. Always be updated about your Analytics data, as it provides direct insight into how your site is doing and what your customers are saying about your product or your business. The data gives you the ability to conclude what’s working and where you need to upgrade. Also, audit visitor data to see how, where and when your site traffic is coming from. High-Quality Infographics impart an awesome and best visual experience to the users. It is one of the best ways to attract maximum visitors towards your website. Hire a great designer to build a great infographic that everyone wants to link to. It helps you create a programmed marketing machine for your site. In the present era, people speak their minds and express different opinions through online mediums. Building a community into your site is one of the best ways to bring passionate and like-minded people together and increase traffic to your website. Strategies like implementing a robust commenting system through third-party solutions such as Facebook comments or Disqus, or a separate forum where the visitors can ask questions. It is important to manage the online community on a daily basis to ensure a proper decorum.